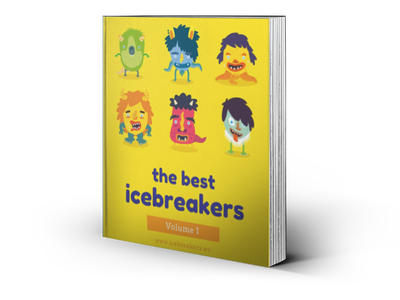 Word Association - Icebreakers, Icebreaker Ideas, Games, Activities! Thinking is all about making connections in the brain. Reveal something about how you and your friends think using this simple game of making connections between words. Play Work Association with two to eight players. It works nicely as a conversation starter, a car game, or as a drinking game. Everyone sits in a circle. The first player, chosen randomly, says one word out loud. The next player, in clockwise order, has to quickly say a word that has some connection with the previous word. What counts a connection is down to the parliament of players to determine: if somebody doesn’t like a connection, they can challenge it, and everyone votes on whether or not to allow it. In the event of a tie, the word is allowed. At this point one player makes a challenge, on the grounds that Pluto is no longer considered a planet. Scientists are outnumbered at the table, and the word is allowed, so play continues clockwise. Another challenge: a player protests by pointing out that Batman is not a Marvel superhero. Pop culture justice is done, and the vote goes against the player. That player is eliminated, and a new round starts with the next player in order. Creative connections and creative challenges are encouraged. Don’t take this game too seriously. Just let the ideas flow and see if you don’t find it interesting or funny! Famous psychologist Carl Jung speculated that how somebody responds in a word association exercise might reveal something about their character. The connections of ideas, feelings, memories and knowledge in somebody’s brain all influence the word associations that occur to them. So, the questions is, why would one person’s first thought when they hear the word “cat" be “companion," and another person’s as “claw." Does that indicate a difference in a person’s feelings or experiences with cats? What about how long it takes somebody to respond? One suggestion Jung made was that a fear of embarrassment at revealing their first thought was behind. But then, some words are just harder to make connections with. Feel free to interrupt the flow of the game to offer your off-the-cuff psychoanalysis of other players. As long it’s light and playful this game can be the source of many amusing observations. And it might even get you to ask questions about yourself, and how you think about things.